Successfully Added DOOGEE S70 Lite Waterproof Mobile Phone Wireless Charge NFC 5.99-Inch Core Android 8.1 4GB RAM Smartphone (Black) to your Shopping Cart. 5500mAh large capacity battery, provides enough electricity for a whole day even under the heavy use. IP68/IP69K waterproof design to keep superior performance even been sunk into 1.5 meters deep water for 2 weeks. 5.99-Inch display, giving you an immersive visual experience. 4GB RAM + 64GB ROM, provide enough room to store your data, app, game etc. S70 Lite perfectly matches a gamepad which is exclusively designed for professional mobile gaming adventures. With the gamepad's responsive buttons and comfortable grip, the S70 Lite will turn into a superior game console in a second via Bluetooth connection. Due to the 18:9 full display design, S70 Lite with a 5.99-inch FHD+LG big screen looks just like a 5.5-inch traditional phone in the whole size. This Corning Gorilla Glass 4 screen delivers accurate color, super wide vision and gloves friendly mode to give you an immersive gaming impact. Play games even in the North Pole is a cinch. S70 Lite is driven by the strong Helio P23 octa-core processor at up to 2.5GHz, while it also equips instant cooling boost system. A rear metal sheet cooling module and a side game mode key are included to decrease the CPU temperature by 7℃, with smoother gaming and more rapid task response. A game mode button is specially engineered on the side frame for constant game enjoyment. Just with one key, the phone will enter the game mode to clear all the spare applications, prohibit notifications and reject calls promptly. S70 Lite tries to reduce game interruption helping you play games wholeheartedly. Carrying powerful GPU and large 4GB RAM, S70 Lite features great capability in motion compensation technology, image quality enhancement and dark light processing. This professional device outstandingly achieves unhindered and unspotted game performance to set you free in the game world. S70 Lite houses a 5500mAh big polymer battery produced by BAK, the No.1 battery brand known for the high battery density, long battery life and international leading level safety. 756 hours standby time and 80 hours talk time keep you online anytime. S70 Lite brings IP68 grade protection with the best resistance to water and dust. 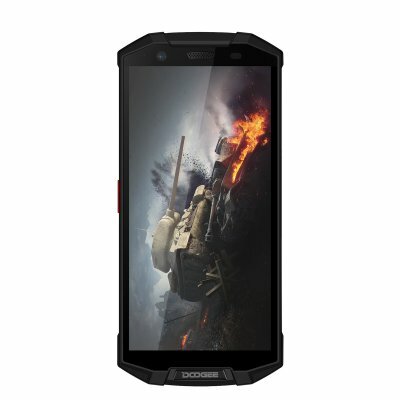 Specially designed for playing games, it combines agile vitality and tenacious body to produce a differently excellent game rugged phone. Housing a high-end 13.0MP SONY IMX135 rear camera with stacked CMOS and fast PDAF, S70 Lite accurately restores the rich details and colors sense. Meanwhile, it matches an 8.0MP depth of field lens to create more stunning nightscape and beautiful portrait even in low-light.